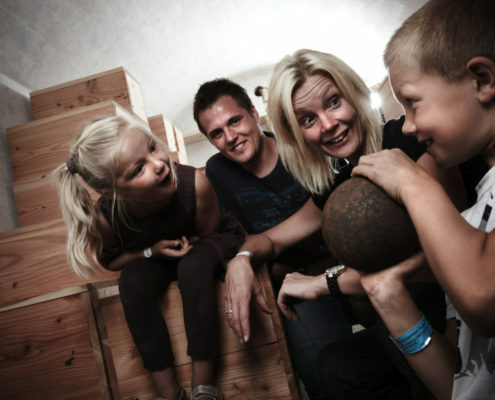 trengthen the unity of your company with team building at Historiecenter Dybbøl Banke. Look forward to physical challenges, exciting activities and serious knowledge of one of the most dramatic chapters in Denmark’s history. From Foe to Friend. 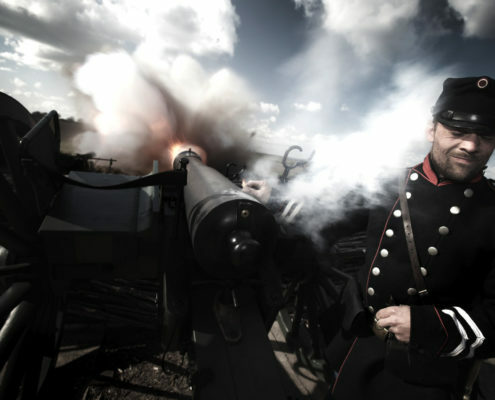 Experience the reenactment of the battle of Als 1864. Explore the archive and search in thousands of original documents from and around 1864. Unfortunately, everything is only in Danish. 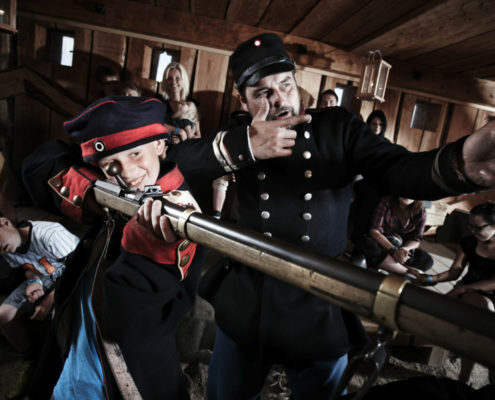 At History Centre Dybbøl Banke step you directly into the events of the dramatic war of 1864. 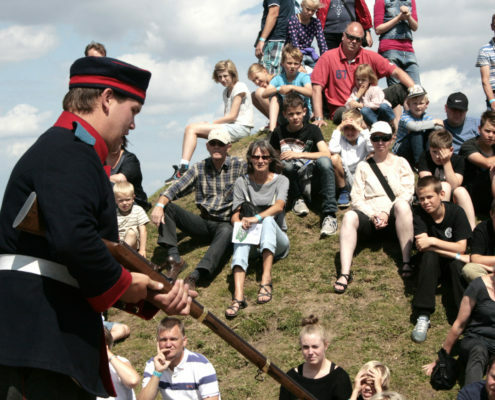 You become a part of the drama and you will learn more about one of the most important battles in Danish history. 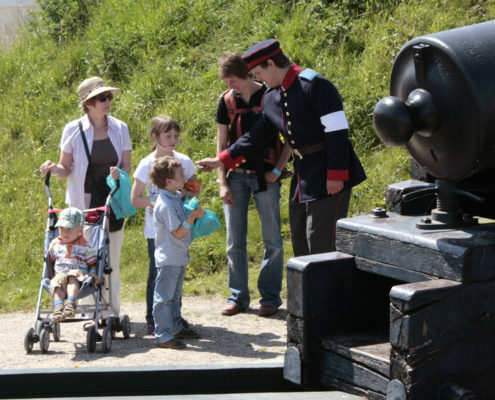 Experience history with all your senses: When you enter the territory, you will hear how the thunder of canons is blended with the shouting and crying of injured soldiers. Go on your journey of exploration and find out, how a correct redoubt is built. Look into the barracks in the “soldiers’ town” behind the front where the young and tired soldiers try to get some rest between the bloody battles. 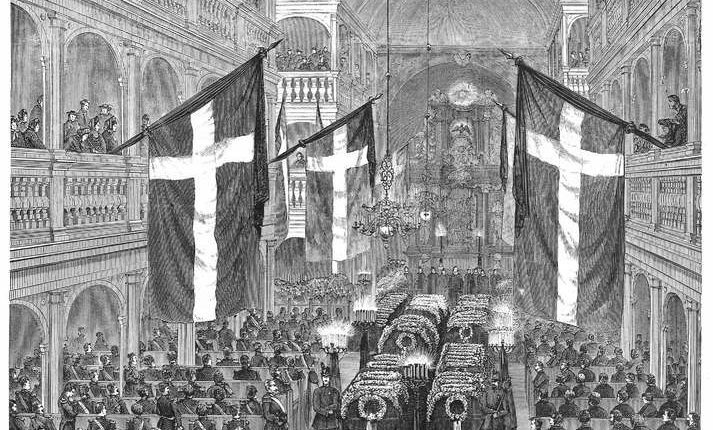 The result of the war in 1864 was that the multinational Danish Monarchy fell apart. Denmark was reduced to a national small state. In 1920, however, we got a part of Schleswig back in the form of Sønderjylland (Southern Jutland). Prussia was transformed into the expanding German empire, which later became the federal state of Germany, as we know it today. It is therefore a very central chapter in Europe’s history, which you learn about here at the history center. 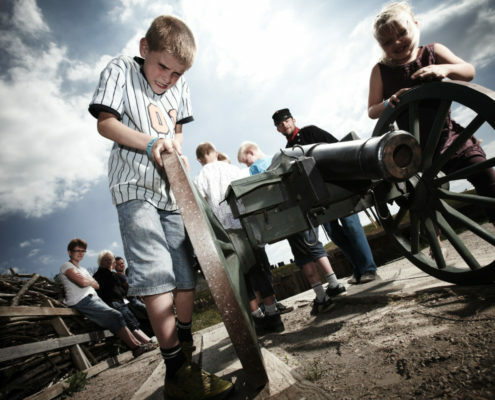 If you are ready to enter the Dybbøl Banke History Center, we are ready to give you an exploding experience. Exciting, entertaining and deeply serious.